Ran Herring on midlake flats in 30' of water today on downlines. 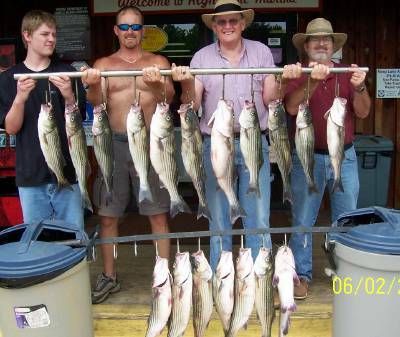 The fish cooperated all day with clients getting 120 hits. Lost count of how many Stripers and Cats they caught but clients kept 16 Stripers for the day.